This month Facebook celebrates its tenth birthday, having come a long way from Mark Zuckerberg’s Harvard dorm room in 2004. Hitting 1.23 billion active users and 2013 revenues of $7.87bn points to an astonishing growth in just a decade – though several researchers have tried to spoil the party by pointing out that teenagers have been deserting the social network in favour of cooler locations such as WhatsApp and SnapChat. On the flipside there’s been an 80% growth in those over 55 joining up – and from an advertiser’s point of view, which is the demographic with most money? As the parent of a ten year old, albeit one that hasn’t delivered any revenues yet, it is amazing to see the impact that the social network has brought, not just online, but to the world around us. This is particularly true when it comes to marketing – ten years ago digital marketing essentially meant creating a website, SEO or sending out emails, rather than the relatively sophisticated profiling that is now possible through Facebook. Ten years ago we liked things. Now we Like them, and friend and unfriend people in the real world, as well as online. Poking publically is still frowned upon though. The language of Facebook has added and amended written and spoken English, and made it into the Oxford English Dictionary. If you told a marketer ten years ago that they’d move from investing their budget in their own websites to fitting their content inside the constraints of a presence on a third party network they’d have laughed at you. But essentially that is what Facebook has done – consumer marketers feel they have to follow their target audiences onto the site and interact with them, if they are to drive engagement. The relationship between companies and consumers used to be one way and top down. The very word consumer conjured up a vision of passive purchasers lapping up whatever was marketed to them without complaint. Social networks have turned this on its head. Got a complaint? Disagree with what a company is doing? Facebook (and, of course, Twitter) provides you with a megaphone for your comments and can reach a global audience within seconds. Brands no longer have total control – as my ex-colleagues Steve Earl and Stephen Waddington have pointed out we’re now in an era of #brandvandals, that have the means and inclination to undermine corporate reputations overnight. This isn’t just because I’m old, but we’ve moved from 24 hour rolling news to second by second and minute by minute activity. Move away from your computer for a tea break and you’ll be behind the curve and out of the loop. The constant need to update your status, post what you are doing and react to other people doing the same does give immediate insight, but is it at the expense of longer term perspective? How we consume news – and how it is collected and disseminated – has evolved beyond all recognition. Facebook profiles are the first place that journalists look for information or reaction to events. Much of our news is shared or recommended by friends rather than genuinely found through our own efforts. Consequently bite-size stories have risen up the agenda, along with a focus on cute kittens and addictive but unprovable gossip. It used to be that your closest friends were those you saw every day, even if the main thing you had in common was location. But now you can hang out with people you share interests with, wherever they are scattered across the globe. For many people the main focus of their social lives is Facebook, not the telephone or face to face communication any more. Social media has allowed celebrities, from the Queen to Justin Bieber, to share their lives and build a direct relationship with an audience, unconstrained by the press. But this comes as a price – you need to actually talk to your fans and engage, rather than shutting yourself away, surrounded by minders. Perhaps too open judging by what many people post. But the stereotype of shy and retiring, emotionally awkward Britons has been completely destroyed by the advent of Facebook. There’s no limit to what people think is shareable or that they believe their friends will find interesting…………. Our attitude to how our private data is mined and used is changing. When Facebook began, few were bothered about what happened to their personal information – but that has changed as we’ve grown savvier about what it is worth. The next decade will see a fascinating struggle between Facebook (and marketers) and users, as each side tries to shift the needle on privacy. While the Jubilee and Olympics are very different events, it is fascinating from a marketing point of view to look at how they are presenting themselves – and what London 2012 organisers can learn from last week’s celebrations. What struck me most about the Jubilee was its openness – there were obviously formal events such as the flotilla, concert and service at St Paul’s Cathedral but the emphasis was on letting people celebrate in their own way. Whether this was a street/indoor party, going to the pub or setting fire to enormous bonfires the Jubilee catered for a whole range of interests. And if you wanted to ignore the whole thing you still got two days off work. This openness extended to branding – anyone could stick the word Jubilee on their products without fear of being sued. 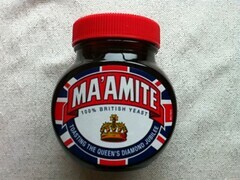 Some has been inspired, such as rebranding Marmite to Ma’amite while others have been less inventive and simply added a flag and crown to their packaging. This is in complete contrast to London 2012 where any use of Olympic logos by unofficial partners is immediately slapped down. While protecting your brand (and the multi-million pound investment your official sponsors have made) is important it can go too far and actually have a negative effect. Witness a Devon estate agent threatened with legal action for putting a makeshift Olympic display in its window when the torch relay came past. Not really a challenge to multinational official sponsors. Ironically it was in Devon that sponsors Coca Cola arranged for Will.i.am to carry the torch – hardly opening the Olympics up to the local community. From a marketing point of view the Diamond Jubilee ticked all the boxes – people enjoyed themselves despite the weather and the Royal Family came out of the event stronger and more popular than before. There’s still time for London 2012 organisers to look at the success of the Jubilee and see what they can do to make the games an inclusive experience for the whole country. Over to you Seb………..